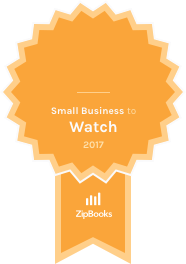 Atlanta, Georgia — ZipBooks is proud to recognize DG Marketing as a ZipBooks Small Business to Watch for June 2017. DG Marketing was selected across all small businesses using the ZipBooks platform. Founded in 2016, DG Marketing is a Georgia-based business to business (B2B) digital marketing firm. They offer marketing strategy, content writing, email development, and social media to generate quality leads online. DG Marketing is a business to business (B2B) digital marketing firm committed to creating humanized experiences that listen and solve instead of tell and sell. Their services aim to position each client a thought leader in their industry, generate leads online, and help B2B companies optimize their websites in order to operate as a business tool.